Robert Mueller got betrayed – now what? Special Counsel Robert Mueller spent two years aggressively investigating Donald Trump and his associates. He found evidence left and right. He indicted several people in Trump’s inner circle. He indicted multiple Kremlin associates who are known to have colluded with Trump’s associates. He then assembled a massive report which apparently spelled out the wrongdoing of Trump and his associates in detail – only to submit it to his “old friend” William Barr, who then released an absurdly dishonest mischaracterization of the report. So now what? Clearly, Robert Mueller has been betrayed. It’s not difficult to parse that his gameplan was to lay out all the massive wrongdoing for Congress and the public to see, and then basically say “here, you can see it for yourself, you decide.” The public would then overwhelmingly call for hearings and impeachment, and the House Democrats would oblige. Trump would end up being ousted, and at that point, federal and/or state charges would be brought against him for crimes outside of Mueller’s narrow purview. Justice would be served. 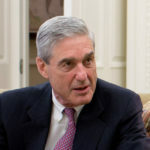 But because William Barr has taken away Robert Mueller’s ability to make his comprehensive argument to the American people, everything is – for the moment at least – off kilter. Here’s the thing, though. By all accounts, Mueller and Barr are indeed old friends. That means Mueller knows Barr well enough that he must have expected at least the possibility that Barr would pull this nonsense, right? We all have old friends whom we like, and trust in certain ways, while knowing from experience that they can’t be trusted in other ways. So the question is what Robert Mueller came up with as his Plan B. He has a long and consistent history of being too thorough of a prosecutor to have, in the end, decided to bet the country’s future on the hope that William Barr would do the right thing. He must have accounted for the scenario in which Barr decided to please his boss instead of doing the honest thing. The good news is that Mueller’s report now exists. It’s a tangible thing. Even Barr’s whitewashed “summary” gives away that the report is bad for Trump. All that Mueller and/or the House Democrats have to do is find a way to make the report public, and it’s off to the races.